Why Medical Weight Loss Works | How Is It Different? Overweight and obese people are more at risk of developing serious health complications like diabetes, heart disease, stroke, and osteoarthritis. Losing weight can lower the risk of developing these problems or even help manage them. People who want to achieve a healthy weight for health and even cosmetic purposes can benefit from medical weight loss. Medical weight loss is a weight management program developed by and maintained under a physician’s supervision, and it uses tools and resources based on medical science. Unlike other weight loss methods like dieting, taking pills and undergoing surgery, a Denver medical weight loss physician examines a patient’s health profile, nutritional needs, metabolism and weight goals before developing a customized weight loss program focused on addressing the cause of obesity and weight gain. Consultations and laboratory tests will be done before starting the program. 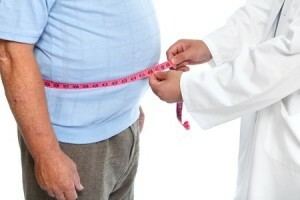 While on a medical weight loss plan, patients are required to attend regular visits to a weight loss clinic or center. Lab tests usually include urine tests, blood tests and electrocardiogram. The start of the program involves changes in the diet, prescription of vitamin and mineral supplements and taking appetite suppressants and diet pills, if necessary. As the body starts to adjust to the program, exercises will be introduced to the program. Patients will be taught to fight food cravings at home and learn how to shift into a sustainable, healthy lifestyle to maintain a healthy weight after the program. Adapting to the changes can be overwhelming, and medical weight loss can address this, too. Medical weight loss is a flexible weight management program that can work on anyone. Whether you are just starting out or wanting to lose the stubborn remaining pounds, medical weight loss can develop a weight loss program just for you needs. What’s more, medical weight loss physicians can work with your primary health care provider to make sure supplements, pills, and weight loss efforts do not intervene with primary medical treatment. Overall, medical weight loss offers a holistic approach to providing people optimum results that last. To learn more about medical weight loss in Denver and to schedule a consultation with a top medical weight loss physician, call Denver Physical Medicine & Rehab today at 303-757-7280.